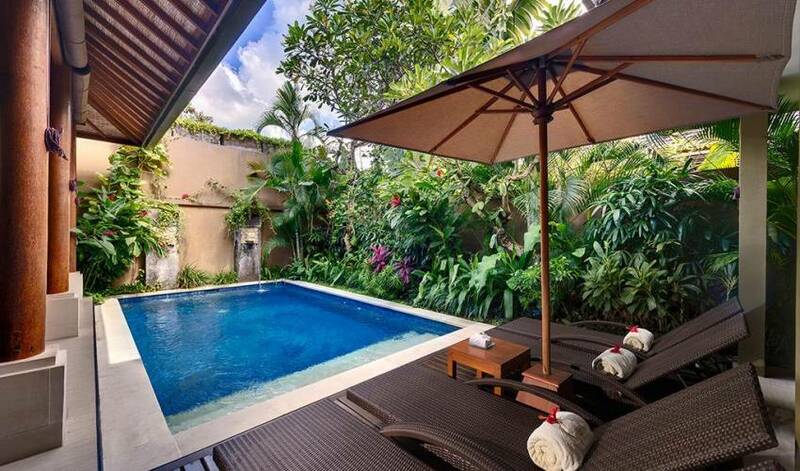 With a fabulous setting within the Laksmana enclave and just 200 metres from the beach in Seminyak, this luxurious cul-de-sac of four fully staffed one and two-bedroom villas, each with private pool, is ideally located for exploring Bali’s cosmopolitan hub. The iconic beach club Ku De Ta is just a short stroll away, as are some of the island’s most acclaimed dining venues. 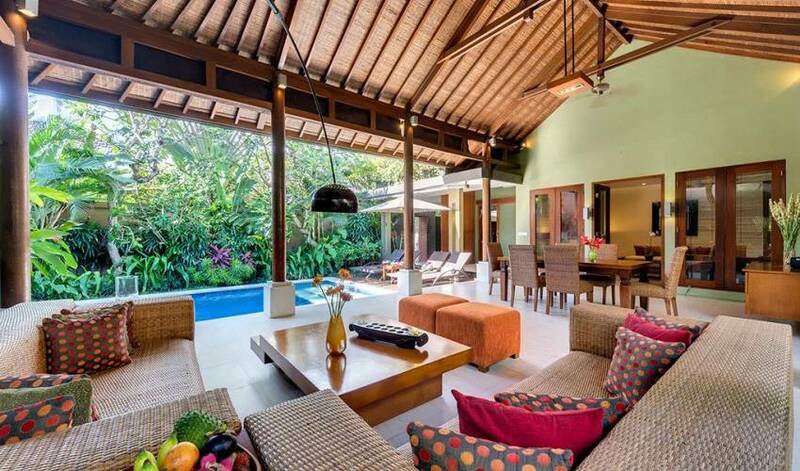 Each villa is built to a stylish tropical design incorporating open-plan living area, spacious bedrooms and swimming pool fringed by lush gardens. 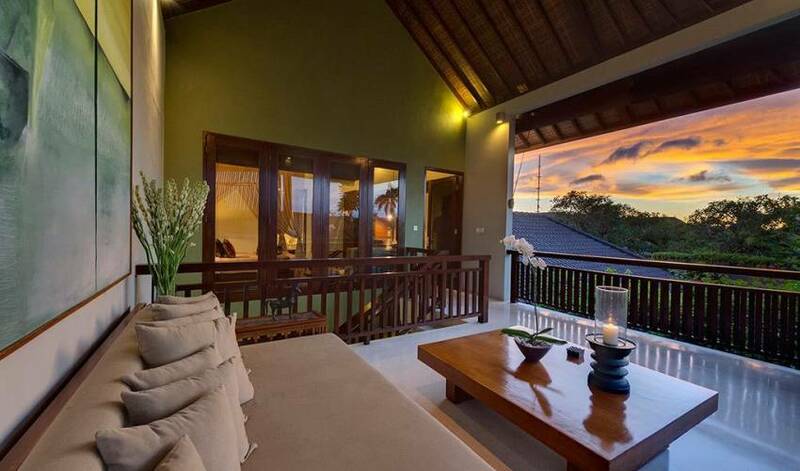 The one and two-bedroom villas are equally suited to couples and small families, while larger groups can rent the entire complex, giving a total of seven bedrooms. 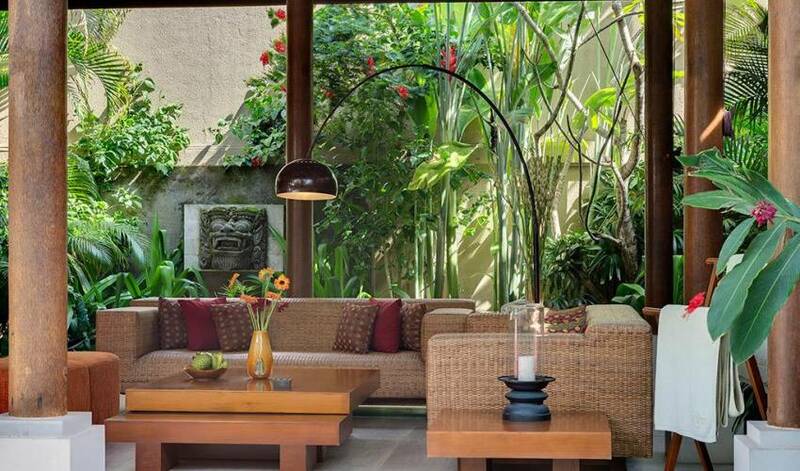 Villa Ubud is a peaceful hideaway, with all the delights of Seminyak right on its doorstep, from sweeping sandy beaches, to world-class restaurants, trendy bars and designer boutiques. 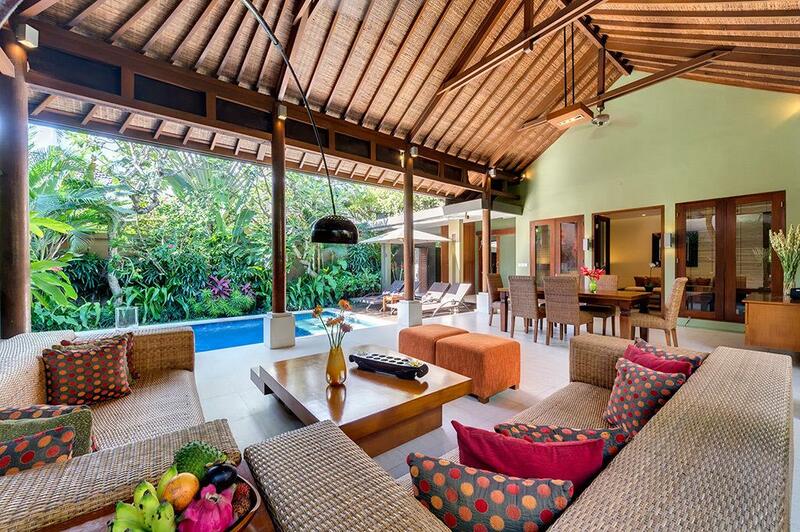 This two-storey villa is the largest in the Lakshmi enclave and is named after the town of Ubud – the artistic and cultural heart of Bali. 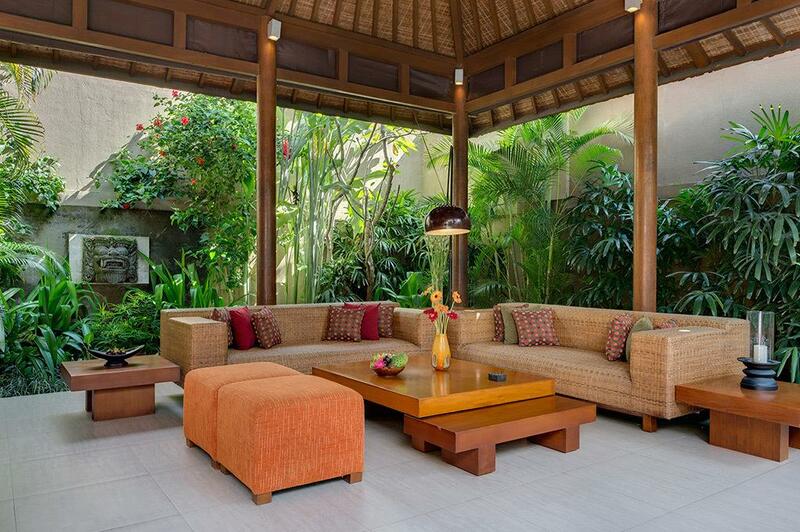 Built to a contemporary Balinese design, the villa is a celebration of elegant tropical living. Its open-sided living pavilion, with soaring rattan ceiling,is adorned with antiques and local artwork and overlooks the swimming pool. The upper-floor bedroom boasts a breezy private terrace, and the ground floor bedroom also serves as a TV lounge/study. Whether you want to stroll down to the world-class dining venues of ‘eat street,’ shop till you drop, lounge on the beach, or sip cocktails at sunset, the opportunities that come with a stay at this villa are endless. 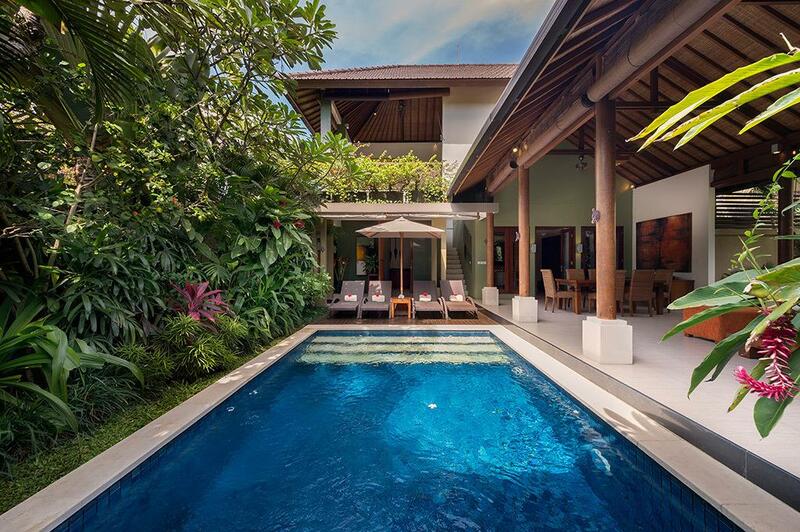 The villa is arranged in an L-shape around a swimming pool fed with two ornamental water fountains and set within a walled courtyard bordered with abundant tropical foliage. 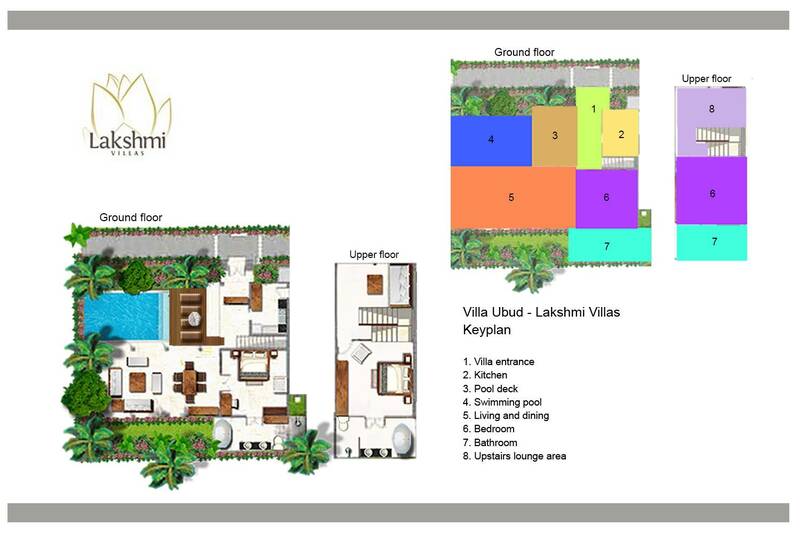 The kitchen, living room and TV lounge / second bedroom are on the ground floor, with the master bedroom and a breezy sunset terrace on the upper floor. 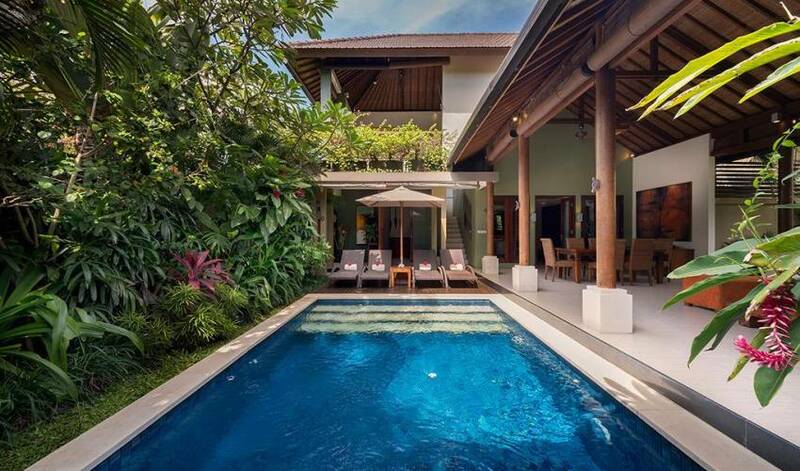 The villa’s entrance leads into a fan-cooled, tropical-style living pavilion with cool stone floors and a steeply pitched roof supported by stout teakwood columns. 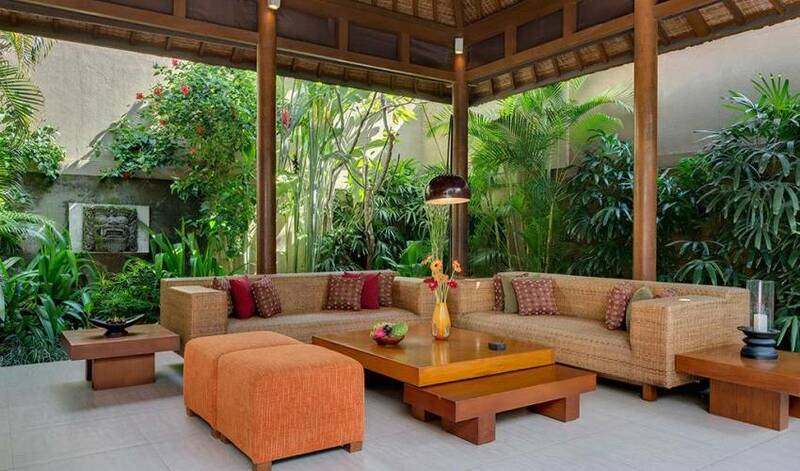 Two rattan sofas piled with colourful cushions make a relaxing lounge area arranged around a wooden coffee table. 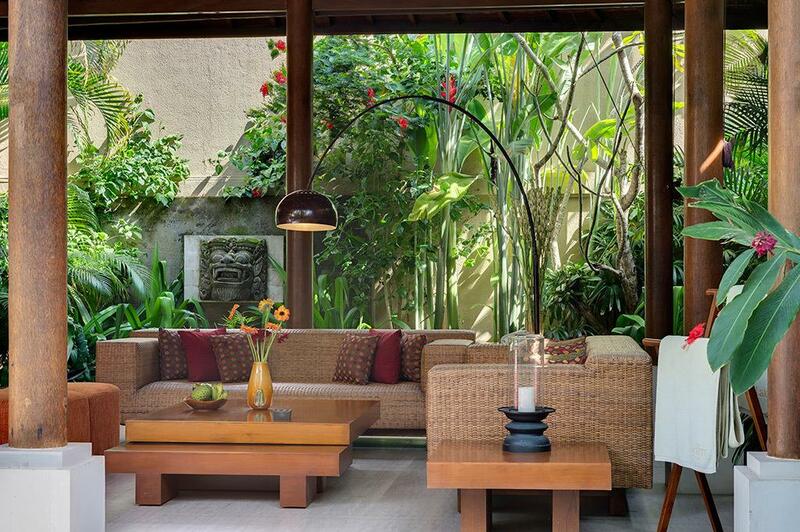 A dining table seats six and a sideboard displays magazines, Balinese-themed coffee table books and an iPod dock. A guest kitchen with a granite counters adjoins the lounge room, and provides all the essentials for tea and coffee-making, cool drinks from the mini bar, or for whipping up a quick meal. 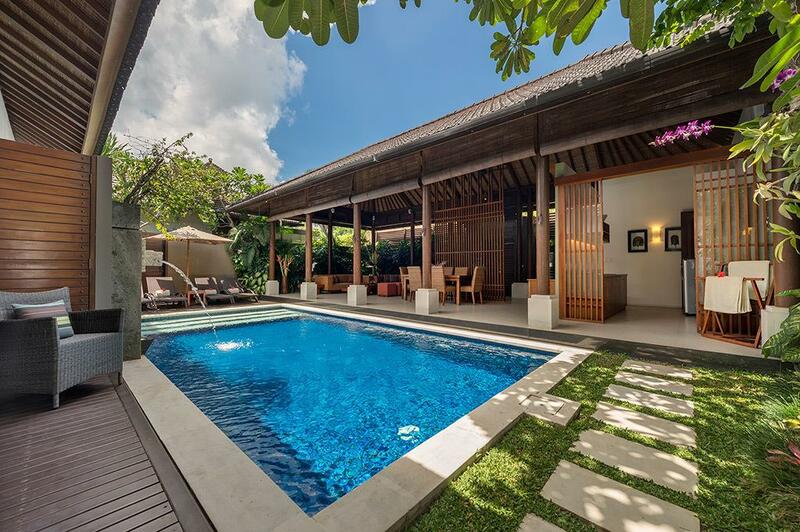 Outside, in the pretty walled courtyard, is a 6 x 3-metre swimming pool, at one end of which is a wooden deck furnished with loungers shaded by a parasol. In the master bedroom, a king-sized bed is draped in a soft olive green mosquito net and adorned in crisp white linen and deluxe pillows. A large timber wall unit incorporates wardrobe and shelves,and an alcove for a satellite TV/DVD player. The ensuite bathroom is fitted with a walk-in rain shower and a tub and has customised amenities. On the adjoining terrace,a comfortable daybed is just the place to appreciate the light breeze and pool views while enjoying a good book. 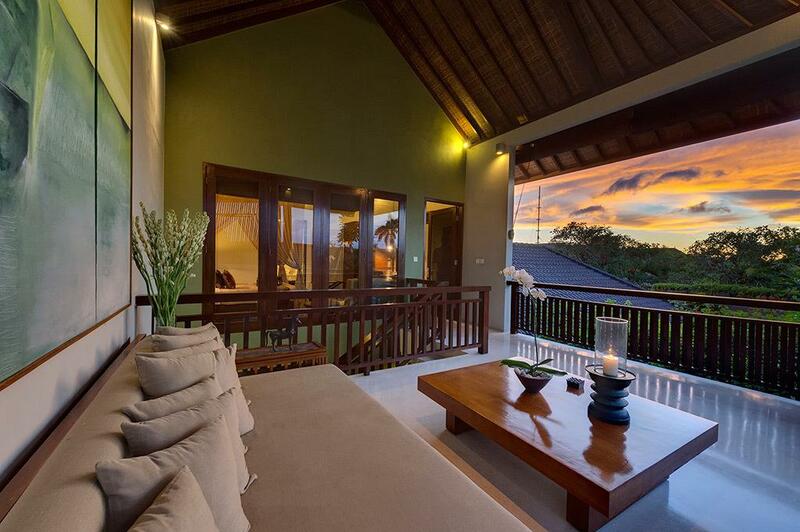 The villa’s second bedroom can be configured with a king-size bed or twins and also functions as a TV lounge or study. The room is equipped with a satellite TV/DVD player and features an attractive semi-outdoor bathroom with walk-in rain shower, bath tub and customised amenities. 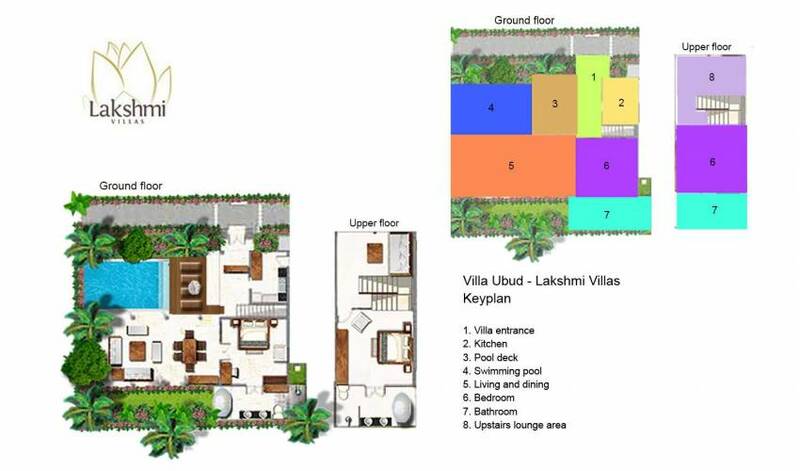 Lakshmi villas are part of the Laksmana Private Villas enclave, and are located along a picturesque tree-lined lane. 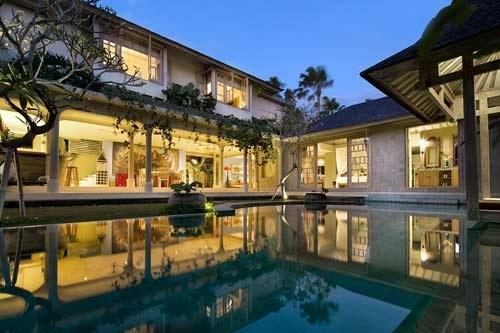 Many of Seminyak’s attractions are within easy walking distance. A gate at the back of the estate grants quick access to Seminyak Square, where there area number of restaurants and boutiques, as well as a bakery and gourmet supermarket. Alternatively, wander down the lane and turn left for the sandy beach at Oberoi, legendary beach club Ku De Ta – still the island’s hottest sunset spot, and a number of boutiques and restaurants, including Teatro Gastroteque which provides one of Bali’s most exciting dining experiences. Turn right for the stylish neighbourhood known as Petitenget, and enjoy a cocktail or dinner at the restaurant Petitenget aptly named after this charming area. Or stroll to the ancient sea temple, where alongside is La Lucciola with atmospheric beachfront Italian dining, and Motel Mexicola which serves Mexican-themed food in colourful retro surrounds. Restaurant “Urchin” is literally on your doorstep and serves an array of world- class seafood whilst wine lovers can stroll to Vin+, a restaurant and wine boutique offering the most extensive selection of retail wines on the island. 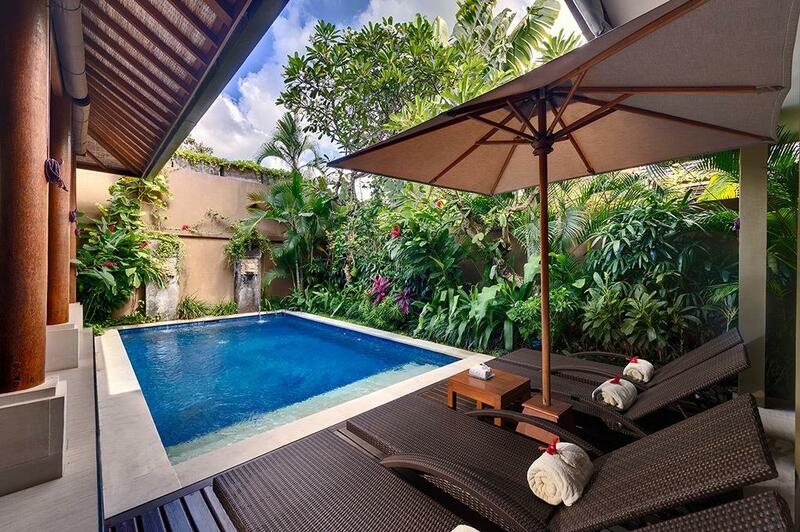 While those in search of a decadent spa or salon treatment can pop into Body Works – one of the Bali’s most renowned day spas.